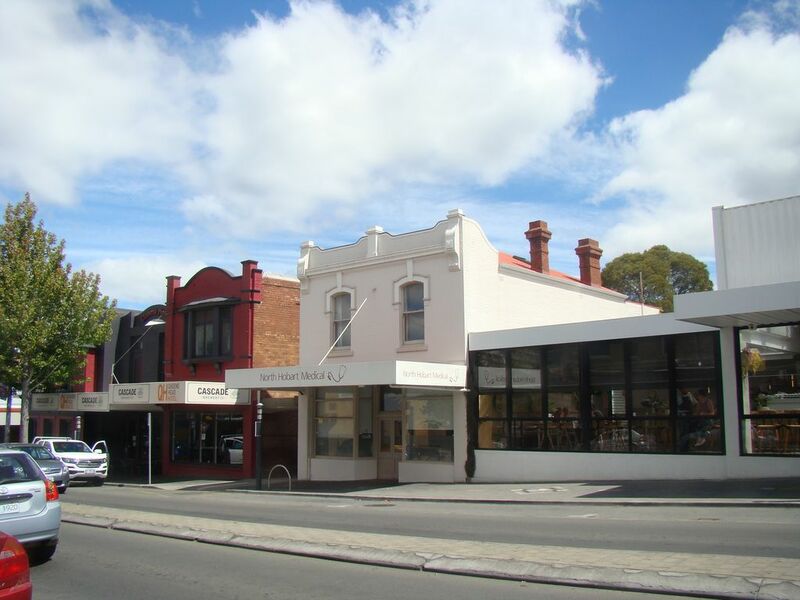 This secure, private, large apartment is located in North Hobart, amongst restaurants, cafes, art galleries, specialty shops and the iconic State Cinema Theatre. The apartment is 20m from a bus stop that takes you directly into the city, or it is a 1.8 km walk. The apartment sleeps 6 comfortably, comprising of a queen bed, two singles and a double sofa bed. There are two living areas, a bathroom, laundry, and large kitchen/dining area. The unit is sound - proofed, well heated, and has a parking space. The apartment's location is its greatest asset. We also have Downstairs at 408 which can sleep a further 2 people if available. A very nice flat that suited our purposes perfectly. It was clean and very comfortable with lots of extra touches that our thoughtful host provided for us. The location is great! Lots of bars, cafes and restaurants all within a few doors, easy access to the city via the bus or shanks pony. An Uber was only $8.00. Only downside was that it's difficult to buy household staples within easy striking distance. Our accommodation was very homely and comfortable with everything you require to make a great base to explore Hobart from. The location couldn't be better with Hobarts nightlife at your door. We loved the accomodation. It's location is perfect and walking distance from a lot of restaurants which was very handy. Apartment itself is very nicely organised and comfortable. I loved the fact that there is a lot of games and craft things for the kids which was very impressive. Would highly recommend this to all. Thank you some much for the detailed review. I appreciate it very much. The apartment was clean, cosy and well equipt. We all loved this place!! Very convenient and central location. Deb is a very lovely attentive host.. Late check out was an added bonus. You and your family were AMAZING guests. Very nice place excellent location.its a home away from home. Really enjoyed there.